Custom Air Products & Services, Inc. is a full-service HVAC company that specializes in the design, construction, installation, modification, and servicing of industrial and commercial air conditioning equipment. We are committed to providing exceptional custom design and quality workmanship at competitive prices. On every project, we provide the resources, experience, and expertise necessary to ensure your complete satisfaction. 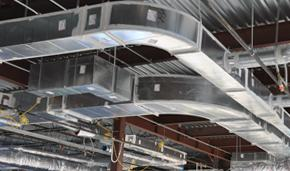 We invite you to browse the website to learn more about our Houston commercial HVAC repair services, industrial equipment and HVAC design services. Custom Air Products & Services, Inc. recently introduced a 20 Ton High Static COMPACT Rental Air Conditioner on the market. At 112.5″ W x 97″ D x 62.26″ H, this little jewel is easily transported and is ready to go to work for you. Available options include explosion proofing, custom coatings and colors, stainless steel construction, and more. CLICK HERE to see our flyer and to find out more details, then give us a call today! We specialize in the manufacturing of quality built, road tested rental ready portable HVAC equipment. 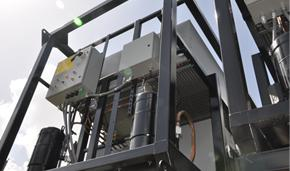 If you are looking for air handling units, packaged air conditioning and heating units, electric heaters or any other skid mounted equipment ready to take the abuse resulting from transportation, setup and tear down, look no further. Concerned about how you are going to replace that air handling unit that is shoe horned into your mechanical room? After all, having to tear walls down for access and disrupting the occupant´s comfort is not something anyone looks forward to. 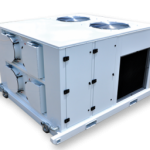 CAPS can manufacturer an air handling unit using an innovative modular framing system that allows for equipment replacement with little or no disruption to the occupants. Custom Air Products & Services, Inc. offers many flexible maintenance plans, including preventive maintenance and full maintenance contracts, to ensure your equipment stays running efficiently and reliably. 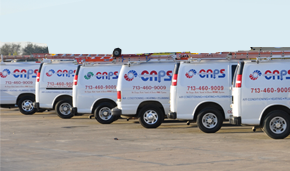 Our staff of certified service technicians are trained and equipped to diagnose and repair all makes, models and sizes of equipment serving the HVAC industry. Custom Air Products & Services is currently seeking to fill a number of open positions. Be sure to visit our Employment page to see job postings, read detailed job descriptions, and submit your employment application.